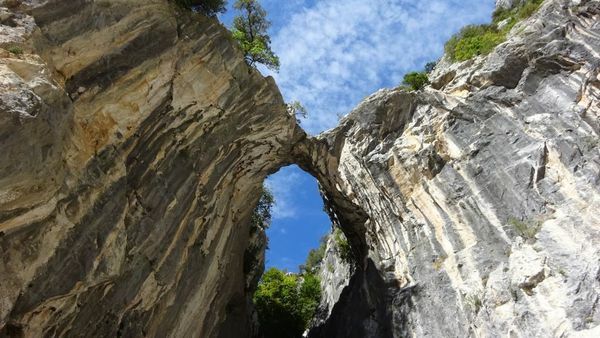 This is a trek of ever changing and spectacular scenery from vertical rock spires which climb skywards to plunging and steep sided gorges which descend into the depths. It is also quite remote in places and its possible to really feel the quiet of the mountains and experience a lot of wildlife as we get away from the crowds. We will see a lot of birds of prey, including vultures, eagles and buzzards and wild Chamois and mountain goats while we are trekking. This is a six day trek, with seven nights accommodation in a mixture of refuges (mountain hostels) and small hotels. The walking and views are stunning, but it is a demanding trek, with significant ascents and descents on some days over rocky and uneven ground. The Northern coast of Spain is perfect for combining mountains, coast, beautiful cities and of course wine (Rioja is very near) in a single trip. The schedule will finish around mid-afternoon in a comfortable hotel near Potes with a swimming pool. This then gives you the choice of staying on to relax by the coast, explore one of the many fantastic cities, or returning home to the UK. Read our Blog post for more details of the places to see and visit after our trek. 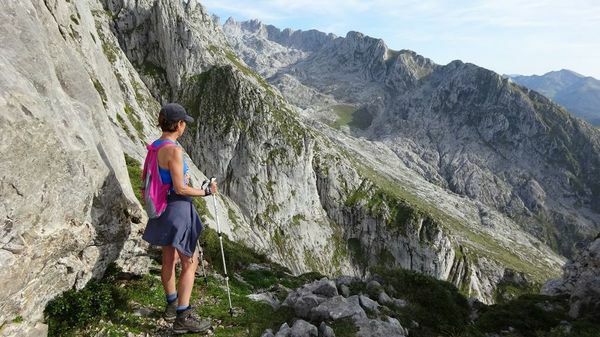 A spectacular Picos Trekking week where we hike across the three main ranges of the Picos mountains in Northern Spain. In medieval times the Picos were known as the Peaks of Europe because the towering limestone summits could be seen from the coast as ships returned to Spain. Today they are simply known as the Picos and are one of the most stunning locations in Europe to go hiking. This is a six day trek, with seven nights accommodation in a mixture of refuges (mountain hostels) and small hotels. The walking and views are stunning, but it is a demanding trek, with significant ascents and descents on some days over rocky and uneven ground. There is also some easy but exposed scrambling on one day, with steep drops to the sides of the path. 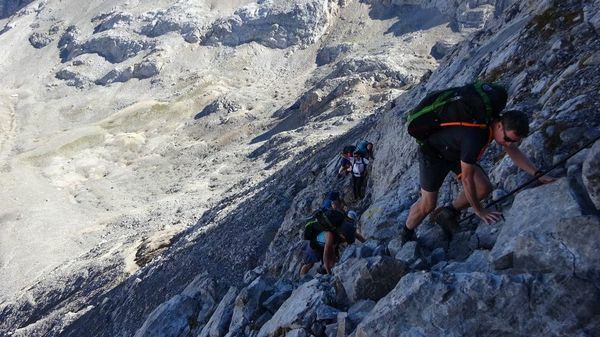 So this Picos trekking week is definitely for more experienced hikers with a good head for heights. We will be carrying all our own kit with us each day, as we travel from hut to hut for this trip. Some of the refuge locations are quite remote offering simple and basic accommodation (one of the huts does not have showers), but the food and views from the huts are quite amazing and it can be refreshing to get back to a simple way of living. Packing up in the morning, while the hut Guardians prepare the horses to head down to the valley for shopping. Your guide for this trek will be Kevin Blissett, a fully qualified International Mountain Leader and member of BAIML (British Association of International Mountain Leaders). The trip will end around mid-afternoon on Friday, which gives a great opportunity to either explore some of the fantastic cities on the north coast, relax on the amazing beaches, or enjoy some of the wonderful food and wine available at the many tapas bars and restaurants. Read our Blog post here for some ideas on how to make the most of your weekend in this wonderful part of Spain. 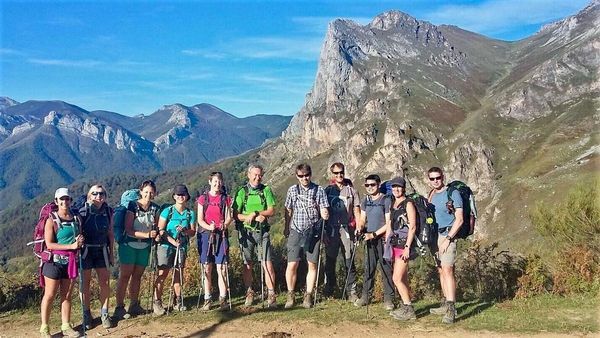 We ran our first Picos Trekking week in September 2017, so this is some feedback from that trip and other recent treks we have organised. “Having done this trek and the Ben Nevis weekend as a follow on, I’m finding it quite difficult to make a comment because it was such a great experience. Kevin and Yen were great hosts as always, willing to go the extra mile, to make us safe, comfortable and happy. Wonderful group of people on the trip and considering the diversity very little tension, in fact some serious bonding took place. Hike from Refugio Uriellu to Aliva (altitude 1660m) : 7hrs, 570m ascent, 800m descent with a steep scramble. Note: We have scheduled the Trek to finish around midday on Friday, as there are so many great places to spend the weekend in this part of Spain. You are free to head directly home, explore further, or just relaxing on the beach. See our mini guide blog post here of ideas to spend the weekend to relax after your Picos Trekking week. To book, click add to basket now and make payment of a deposit of £145. Balance is due 8 weeks before the day of departure and should be paid by bank transfer. Please note that the deposit is non-refundable and your place is not confirmed until we receive full payment. Fully guided route, by a fully qualified International Mountain Leader. Our prices are listed in UK pounds and calculated on 1st October 2017 based on the current exchange rates. However we have to pay for accommodation and food in Euros during the trek. Therefore we reserve the right to charge a supplement in the event that the exchange rate changes by more than 10% between 1st October 2017 and date of departure. The nearest airport to the start and finish with convenient flight times is Asturias airport. Flights are not that frequent either, so we have suggested the following flight times, so that we can then transport you as a group to the start of the trek and then get you to a convenient flight for the return. 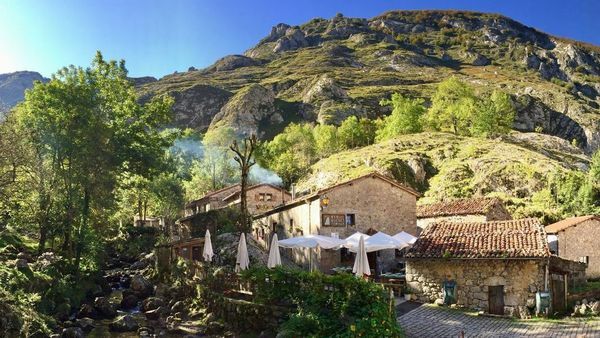 We will arrange a group pickup from Asturias airport to transfer you to the hotel in Cangas de Onis for our first night, then at the end of the trek we will transfer you to our hotel in Potes and then transfer to Asturias. You are of course free to make your own arrangements to the start and finish of the trek as you wish. 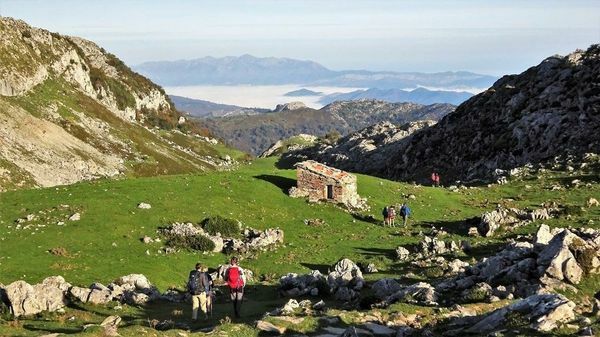 There are also lots of options for making the most of a free weekend at the end of the trek in Northern Spain including visiting the beaches and city of Santander, the museums and culture of Bilbao, or the restaurants bars and beaches of San Sebastian. See our blog post mini guide for some ideas of how to spend the weekend relaxing or exploring after our trek.